Don’t give up dips and other easy weight-loss hints to get you back on track. Feel like you need a boost? Perhaps you’ve hit a plateau? Now is the perfect time to take stock of your life and to make some long-overdue changes. But adjusting eating and exercise habits can seem so daunting, it’s no wonder that some of us never make it beyond the first day! So what’s the best way to get started?The surest way to succeed is making small changes. Think in terms of manageable baby steps, like swapping the half-and-half in your morning coffee for fat-free or low-fat milk. There are lots of little changes you can make — in your food plan and daily routine — that will add up to a lot of weight loss over the long haul.Take a look to these tips below for eating healthfully, fitting exercise into your busy day and revamping your daily routine. Start by picking five changes that you’re sure you can tackle and practice them this week. Then try another five next week . Not every idea is right for everyone, so experiment and see what works for you. Here’s a trick for staying satisfied without consuming large portions: Chop high-calorie foods like cheese and chocolate into smaller pieces. It will seem like you’re getting more than you actually are. Make a habit of reaching for a glass of water instead of a high-fat snack. 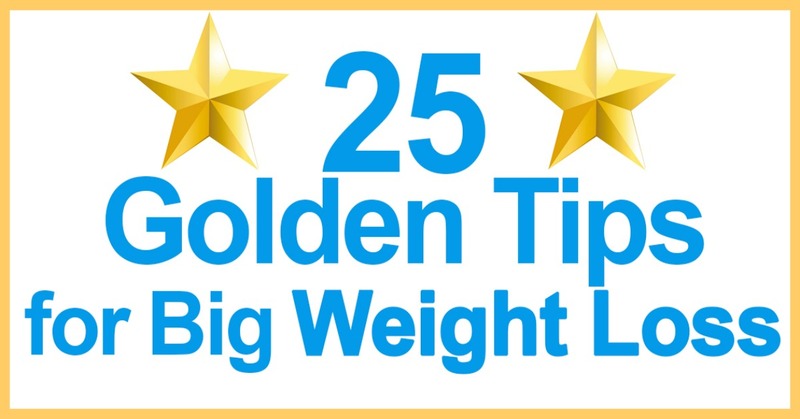 It will help your overall health as well as your waistline. So drink up! Add some zest to your six to eight glasses a day with a twist of lemon or lime. Stock up your spice rack, and start growing a small herb garden in your kitchen window. Spices and herbs add fantastic flavor to foods without adding fat or calories. Make a big batch of soup and refrigerate it before you eat it. As it cools, the fat will rise to the top and can be skimmed off the surface. At restaurants that you know serve large portions, ask the waiter to put half of your main course in a take-home box before bringing it to your table. Putting the food away before you start your meal will help you practice portion control. If you’re craving something sweet, eat something sweet — just opt for a healthier nosh (like fruit) instead of a high-calorie one like ice cream. The same goes for crunchy cravings — for example, try air-popped popcorn instead of high-fat chips. It’s just smart substitution! If you’re new to eating lots of fruits and vegetables, start slowly. Just add them to the foods you already enjoy. Pile salad veggies into your sandwiches, or add fruit to your cereal. Want an easy way to identify high-calorie meals? Keep an eye out for these words: au gratin, parmigiana, tempura, alfredo, creamy and carbonara, and enjoy them in moderation. If you’re working, reading or watching TV while you eat, you won’t be paying attention to what’s going into your mouth — and you won’t be enjoying every bite. Today, every time you have a meal, sit down. Chew slowly and pay attention to flavors and textures. You’ll enjoy your food more and eat less. Broaden your food repertoire — you may find you like more healthy foods than you knew. Try a new fruit or vegetable (ever had plantain, bak choy, starfruit or papaya? ).